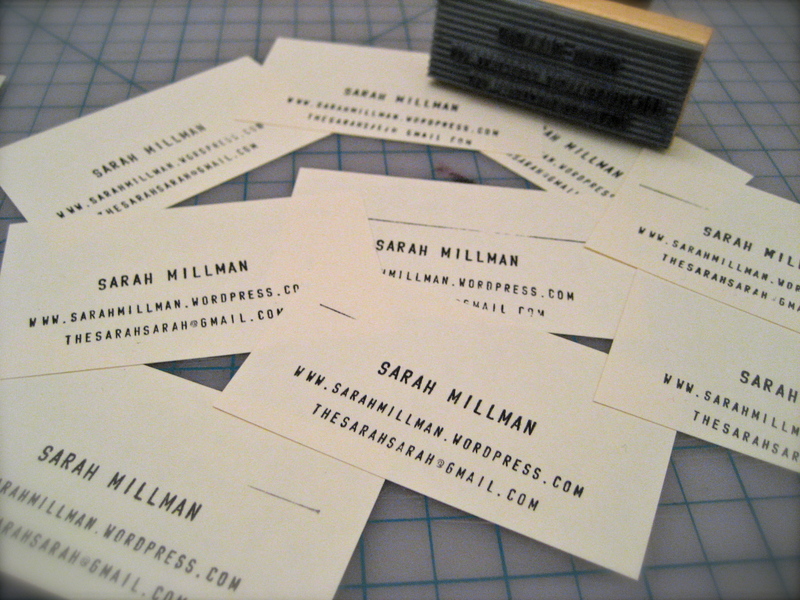 Set up the stamp with your information. I would highly suggest doing this on a clean open space, as the letters will jump off and fly everywhere. My couch was not the best place to start this task. The kit comes with tweezers, but I mainly used my fingers to place the pieces. Add your embellishments. I originally planned to stitch across the tops of them with my sewing machine. 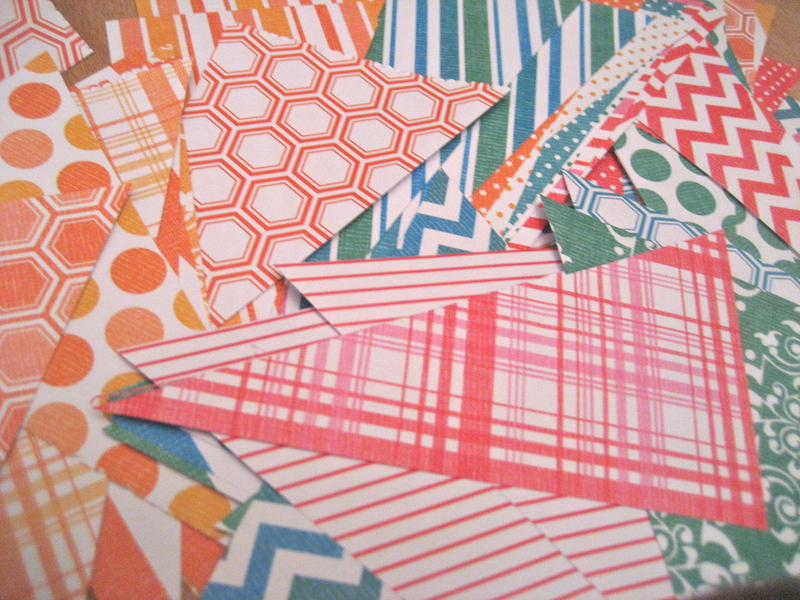 As I was picking out thread colors, these scraps of paper caught my eye. They were leftover from my sister and brother-in-law’s baby shower decorations. 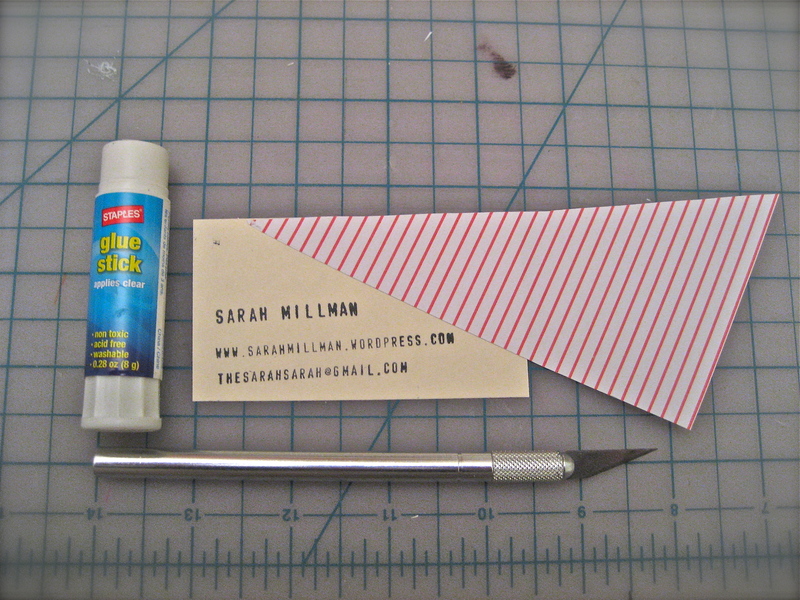 I glued the triangles onto my business cards and then cut off the extra. 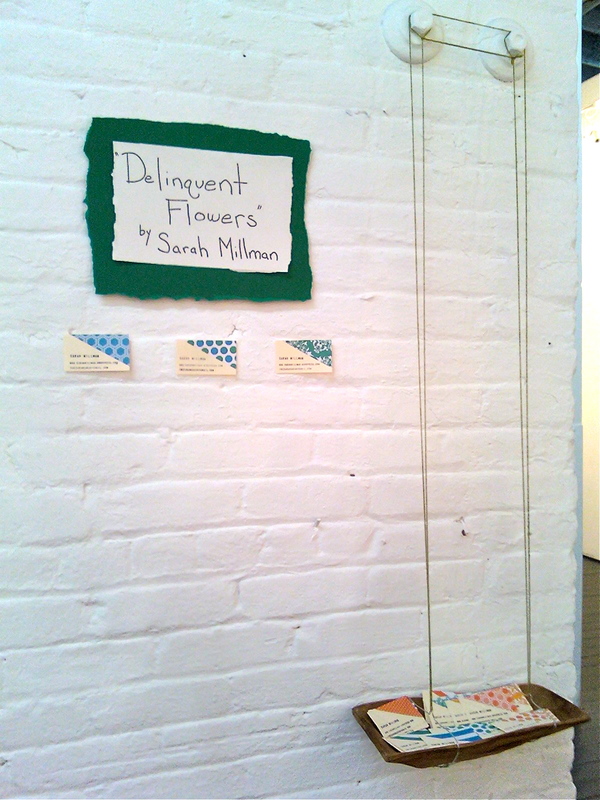 At this point, I decided to move my typeface over to a left-justified placement. 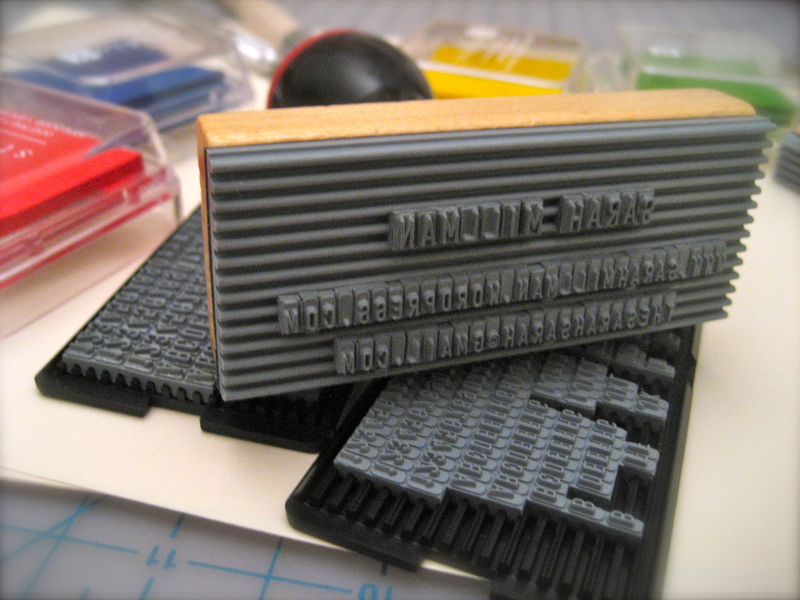 The genius of these custom stampers is that I could simply slide over the typeface and keep stamping. I made about 200 cards in one night, easily. 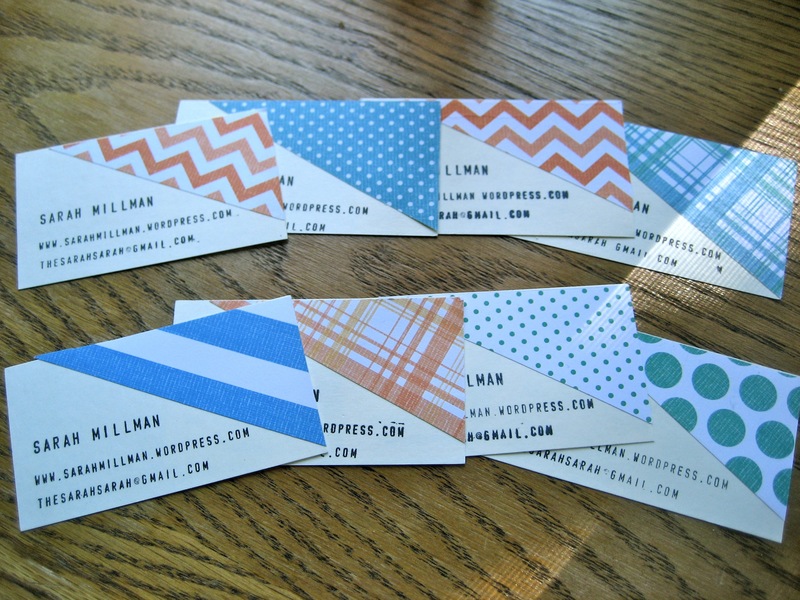 These are the only business cards I have left, I guess it's time to make more!